Smithville has a rich historical background and strong agricultural roots, and is considered “the hub of the Niagara Peninsula”. 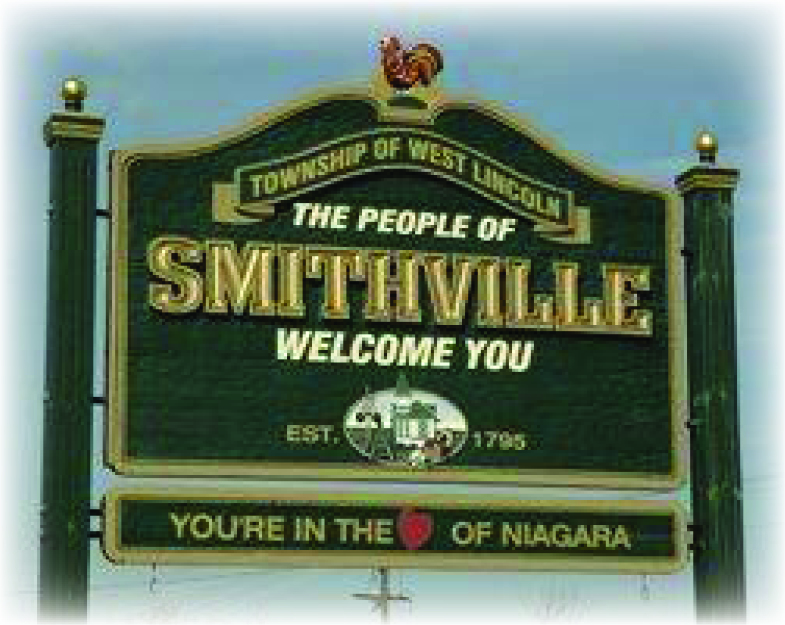 Geographic location: Smithville is located on Highway 20 between Hamilton and Niagara Falls, at RAHB’s easterly boundary in district 57. Smithville was first called Griffintown, after United Empire Loyalist Richard Griffin and his family, who settled on 9th Concession on the Twenty Mile Creek in Grimsby (later South Grimsby) Township. The village was renamed Smithville, in memory of Richard Griffin’s wife, whose maiden name was Mary Smith. Richard’s son Ned, who chose the village site, built the first house. Smith Griffin built a treadwheel in 1810 and later built a dam and mill on the Twenty Mile Creek. Smith also started an ashery, while his brother Ned opened a general store. By 1849, Smithville had reached a population of about 150 and was granted a post office. By this time, the settlement had a grist mill, saw mill, carding machine and cloth factory, four stores, a machine shop, tannery, two blacksmiths, two tailors and two shoemakers. Smithville became a police village in 1887; however by 1889 the village again became part of South Grimsby Township. It was not until 1914 that Smithville was reorganized into a police village on a more permanent basis. In 1884, the Ontario Legislature granted the TH&B Railway Company the right to build a rail line from Toronto to Buffalo, and the rail line ran through Smithville. 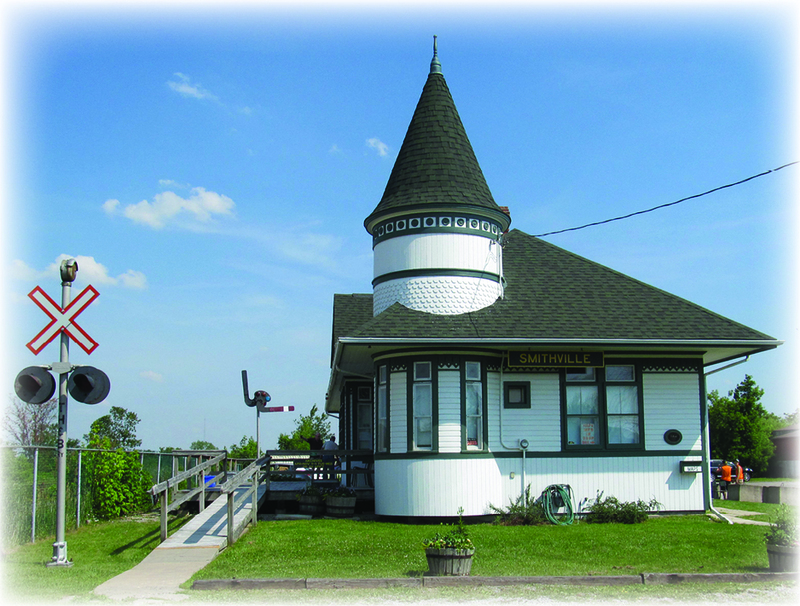 A station was built and in 1895 the first train stopped in Smithville. The station was unfortunately struck by lightning and burned; a new station was built around 1903. It continued as a passenger station until 1981. By the 1950’s Smithville’s population had grown to approximately 1000. Smithville, along with the remainder of South Grimsby Township, was amalgamated into the Township of West Lincoln in 1970. The Smithville train station suffered years of neglect after it ceased operation as a passenger station. The station was eventually purchased and restored by the Lincoln Historical Society and is presently the site of the West Lincoln Chamber of Commerce. The Murgatroyd Parkette at the corner of Griffin and St. Catharines Street features the town clock (from the original post offices) mounted on a pedestal. Smithville Farmers’ Market runs from May to October annually. The annual Poultry Fest Niagara is held in June. The event features a classic car and truck show, craft show and sale, agricultural competitions, and live entertainment for all ages. www.poultryfest.ca.